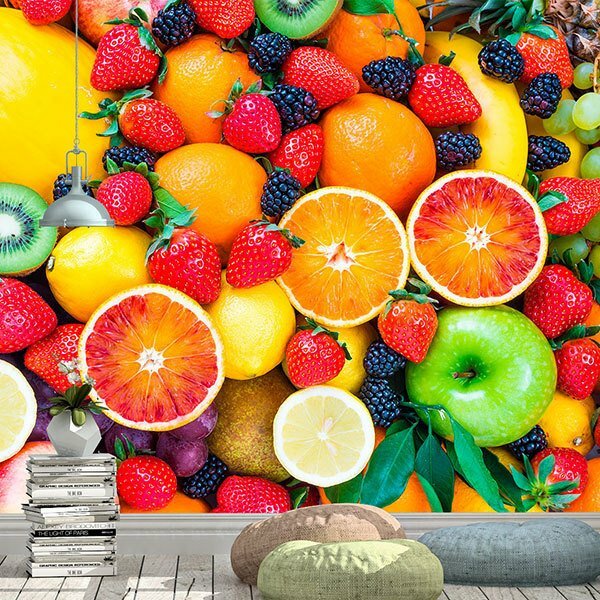 Wall mural Fruit Macedonia. 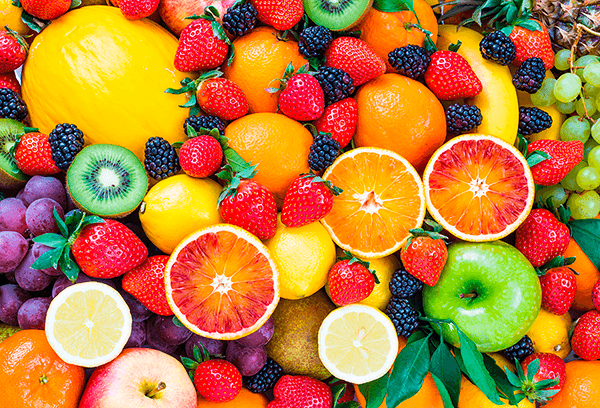 Funny composition of multitude of fruits forming a very colorful and varied image. From oranges, strawberries and blackberries, kiwis, grapes, lemons, tangerines or bananas. 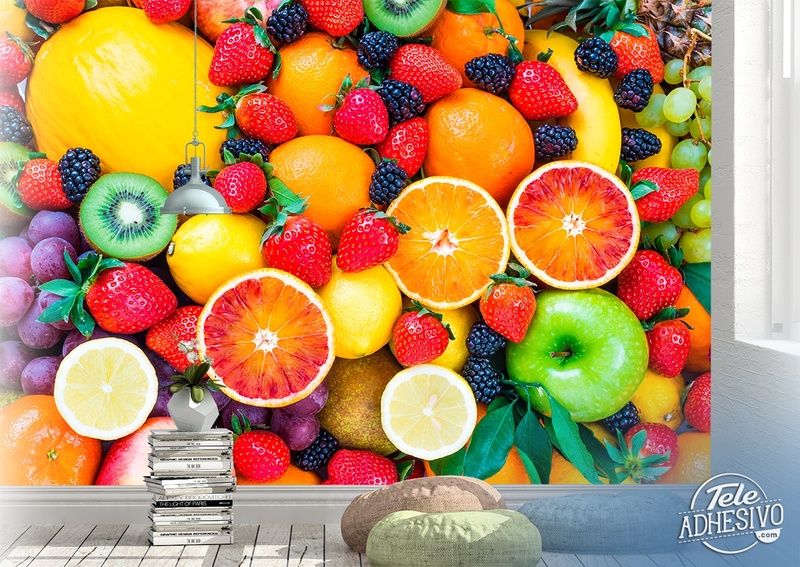 Fantastic option to line the wall of your fruit shop, food business or even for your kitchen.